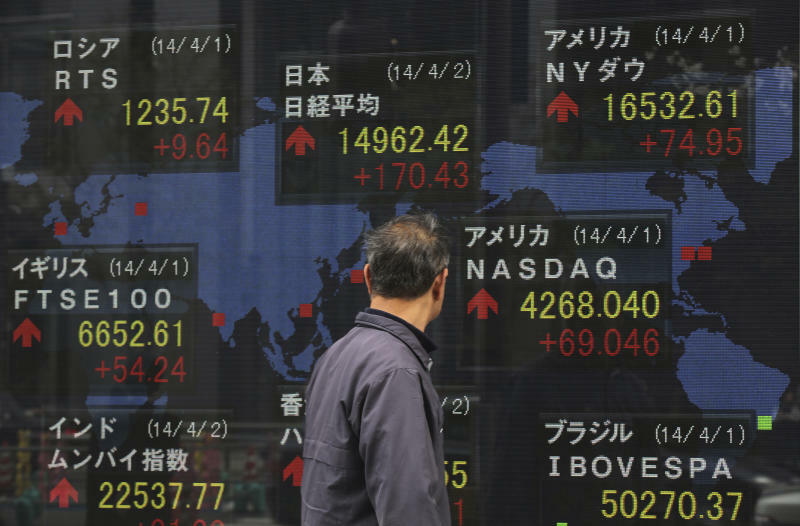 MUMBAI, India (AP) — World stock markets pushed higher Wednesday on signs of a pickup in the U.S. economy and expectations of further stimulus in Japan. 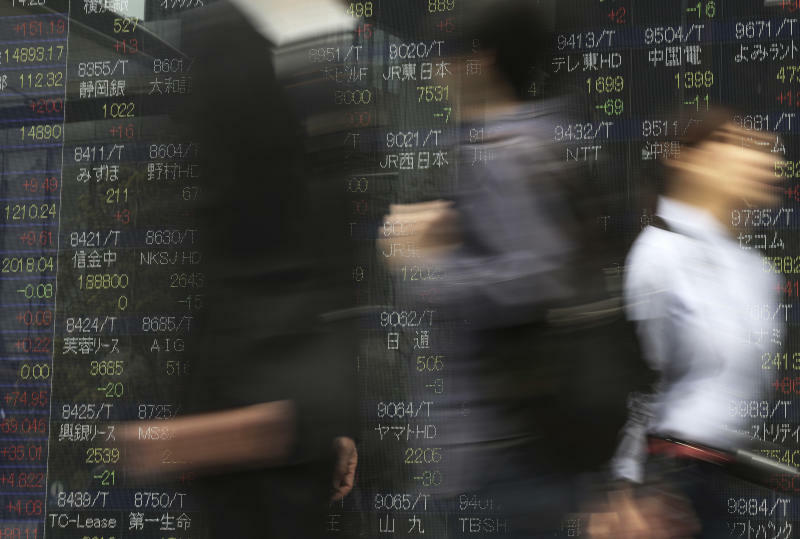 Tokyo's Nikkei 225 led the gains, rising 1 percent to 14,946.32 after a weak outlook for companies raised hopes the Bank of Japan would launch additional monetary stimulus in coming months. 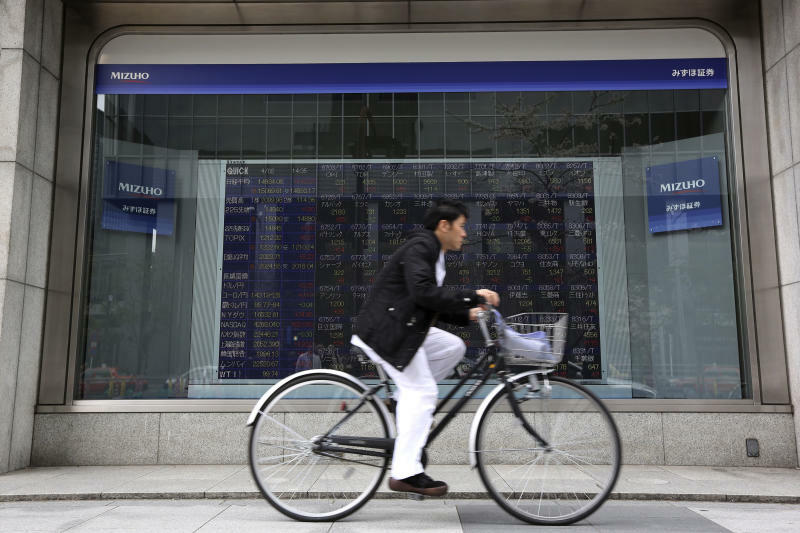 Hong Kong's Hang Seng was up 0.3 percent at 22,523.94 and South Korea's Kospi edged 0.3 percent higher to 1,997.25. In China, the Shanghai Composite rose 0.6 percent to 2,155.70 as investors continued to shrug off two reports that signaled weakness in manufacturing. Sydney's S&P/ASX 200 was up 0.3 percent to 5,403.30. Indian stocks extended a rally ahead of elections set to start next week, with the Sensex rising 0.4 percent to 22,542.55. Markets have been optimistic since Federal Reserve chief Janet Yellen vowed to keep interest rates low and a survey showed an improvement in U.S. manufacturing activity, with the news apparently outweighing China's weak manufacturing reports. "If sentiment is a key component in driving price around, I should think these markets can continue higher," Chris Weston, IG's chief strategist said in a market commentary. European markets opened with modest gains Wednesday as investors waited for a private payrolls report in the U.S. that could indicate the strength of job creation. Germany's DAX was up 0.3 percent to 9,628.50 and Britain's FTSE 100 edged 0.1 percent higher to 6,655.94. France's CAC 40 gained 0.1 percent at 4,428.78. Futures augured gains on Wall Street. Dow futures were up 0.2 percent at 16,480. S&P 500 futures added 0.2 percent to 1,880.90. In currencies, the euro fell to $1.37935 from $1.3806 late Wednesday. The dollar was up to 103.81 yen from 103.64. Benchmark U.S. crude for May delivery was down 6 cents at $99.68 a barrel in electronic trading on the New York Mercantile Exchange. The contract sank $1.84 to close at $99.74 on Tuesday.